For this new year are coming many projects, dreams and goals that I hope to share with you. Hola hola! Se han acabado las vacaciones y estoy de vuelta a la realidad, el trabajo y el dia a dia... Para este año se vienen nuevos proyectos, sueños y metas que espero poder compartir con ustedes. This outfit is very elegant but also chic!... Kisses to everyone! 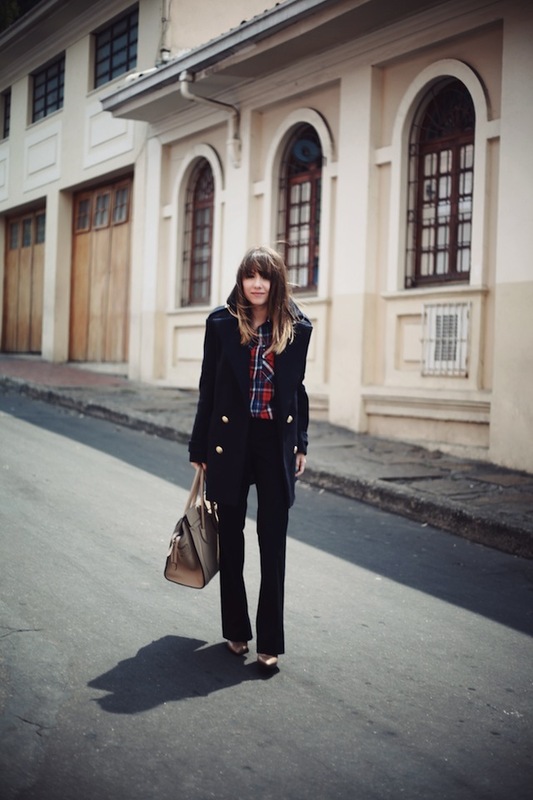 Comiezo este año con un look ideal para la oficina, elegante pero a la vez muy chic! Un beso para todos, quedense aqui! Love this chic look on you. The coat and shirt are fun but still great for work. Has anyone told you that you look like Carly Rae Jepsen?! Total compliment! P.S. 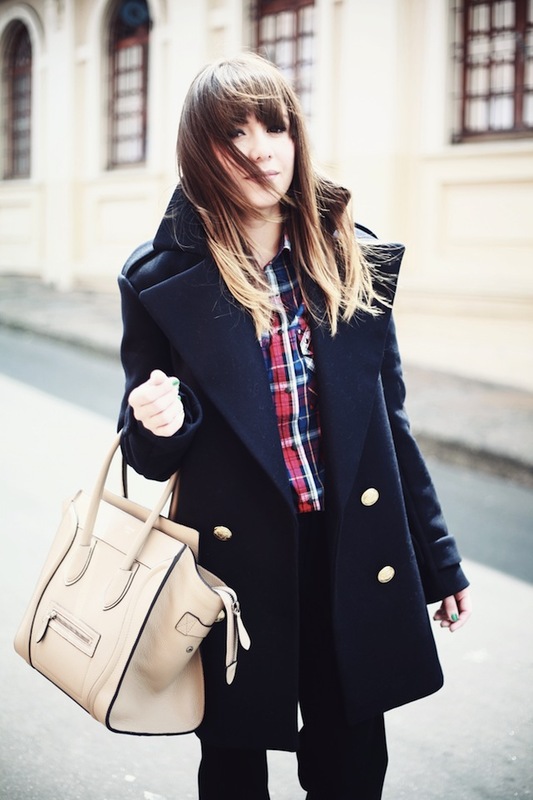 Love the plaid with that coat! you look so sophisticated! I love how your outfit! very much agree with you, you look very elegant! love how you paired the plaid with those trousers :) something really different! i love this outfit! it´s so chic! I love that plaid top! It pops so wonderfully under all your dark dress clothes! I just posted my favorite products of 2012. What are yours? Me encanta el abrigo, muy guapa!